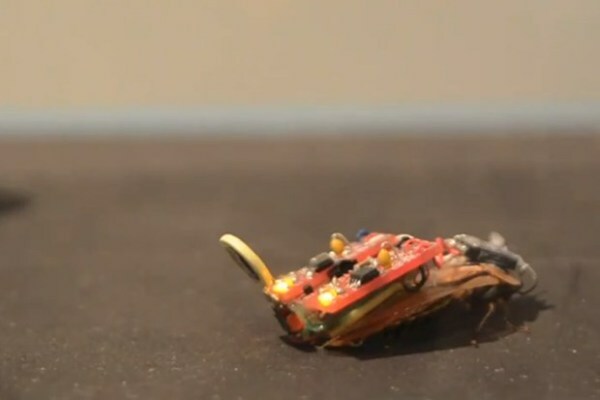 Chances are you wouldn't expect a cockroach to make a statement about the overstimulating connection between humans and social media. But that is what artist Brittany Ransom has done with the TweetRoach. A device called the RoboRoach if fitted to the cockroach, which controls its movement by stimulating the antennae. Paired with Twitter, this has allowed users to maneuver the cockroach by tweeting with the hastags #TweetRoachLeft and #TweetRoachRight. Ransom only fitted the device to the roach for short periods of time, and separated tweets received by the roach to at least 30 seconds apart. With this, the goal has been to question the relationship between humans, nature and technology through seeing if the creature would learn to block out the overstimulation of Twitter. Simply put, will the cockroach ignore the vast amount of 'noise' in a digital world like we do? It's a novel concept to look into this question. This project ran as part of the "Life, in some form" exhibit by the Chicago Artists' Coalition that ran from December 7th to the 21st, and strongly resembles the research conducted by North Carolina University.